I once watched a drunk man, wearing nothing but his boxer shorts and a smile, step barefoot from a porta-cabin toilet in to (…let’s give him the benefit of the doubt here) ‘definitely just mud’ that went up to the middle of his shins. Yes folks, with the final chords of Glastonbury having now faded, and with a whole string of stages and campsites being readied for a busy summer schedule, the festival season is well and truly upon us.
. Girls called ‘Felicity’ and ‘Chardonnay’ pushing wheelbarrows of cheap cider through muddy puddles.
. Groups of campers singing Bon Jovi songs at full pelt about 4.5 meters from my head whilst I ‘naively’ try to sleep.
. The gastronomic delights of having Doritos for breakfast (‘Chilli Heatwave’ if you’re asking) and an undercooked pot noodle for dinner on a daily basis.
. Melting from the heat of the 7am sunshine streaming in to my tent in the morning, whilst resigning myself to bloodshot eyes from the campfire smoke to seek some relief from the freezing nighttime temperatures. So whether it be my age, changing tastes or just my general distain for fellow campers/strangers falling in to my tent in the middle of the night (a terrifyingly true story…) I packed up my welly boots and headed home, safe in the knowledge that we have ‘Spotify’ now. You see I caught wind of a festival of a very different variety; the Gin Foundry’s ‘Junipalooza’. Now in its fourth year, the festivals name is a clever take of the American alternative music festival ‘Lollapalooza’. And whilst the ‘artists’ in this case are gin distillers, the punk rock ethos of showcasing brands from across the spectrum of genres, with an emphasis on craft, is a sentiment shared between both events. Having grown from humble beginnings in to an international affair, Junipalooza is now a calendar event on all gin lovers radars that celebrates in London in June and Australia in October to sell out crowds. And with that, I eagerly replaced the metaphorical can of warm, flat larger of my youth, with a literal gin tasting glass and headed inside. And I’m pleased to say there wasn’t a porta-cabin toilet in sight! It’s 10th June 2017, also known as ‘World Gin Day’, and I’m standing at the entrance of ‘Tobacco Docks’, the venue and event space for this years Junipalooza festival. As I riffled through my ‘little black book’ of the days proceedings, it became obvious that this was a ‘whose who’ of the gin world; a juniper equivalent of Hollywoods ‘walk of fame’. With over 50 of the worlds best brands on offer, this wasn’t so much a case of ‘what to drink?’ – more an intimidating dilemma of ‘where do I start? !’ and ‘how can I fit them all in?!’. Sensing a need to steady my nerves, I marched with purpose towards my first stand and paid a visit to the guys at Pothecary. Having previously reviewed the teams flagship offering earlier this year, meeting Martin Jennings & Lukas Dwornik in person was like bumping in to a couple of old friends. And what better way to acquaint yourselves in person than over a nip of gin?! And I was delighted to see that the guys had brought along with them something rather special to mark the occasion, in their brand new limited edition ‘Sicilian Blend’. Whilst following the same ethos as their original gin, both in the distillation methods & sourcing of the finest organic botanicals, this is a definite departure from the flavour profile you’d be used to. Whilst the juniper remains heavy hitting, the inclusion of Sicilian orange peel, lemon peel and almonds make for a delightfully smooth and citrus finish, backed up by a perfectly balanced level of warmth. This is both clever and elegant, and with less than 1,000 bottles available it’s a tad exclusive! With rumours of further small batch limited edition runs coming our way in the future, including a potential oriental twist, Pothecary are sealing their position as a firm fan favourite. Not bad for a brand who were only celebrating their 1st Birthday, having hit the market at Junipalooza 2016! Next up on my whistle stop tour of the GINcredible was the ‘Four Pillars’ stand. Let’s pause here for a moment. You’ll have heard the saying ‘not all heroes wear capes’. And when it comes to Four Pillars, there can be no finer assessment! In my opinion, their brand epitomises what gin making and drinking should be all about. It’s exciting, cool and a little bit edgy, with each variation of their juniper elixir standing tall in its own right. And as for capes? No dress code necessary; just a beard, a black tee-shirt and a warm smile. And with Behn Payton and Joe Worthington on hand to combine stunning gin samples with a depth of knowledge and background on both the brand, the botanicals and what the future might hold for Four Pillars, it’s no wonder I ended up back their three times during my stay! Certainly contenders for having travelled the furthest to be in attendance, hailing all the way from the Melbourne in the Yarra Valley, Four Pillars brought their ‘A game’ to Junipalooza – the steady stream of excitable visitors a testament to their international appeal. Their ‘Rare Dry’ remains a firm favourite within my list of ‘all time greats’ and served with a premium light tonic & a generous chunk of blood orange on a hot day it really is hard to beat! Yet a journey through their back catalogue demonstrates that whatever you choose, from their Navy Strength to the ‘bar tender series’ Spiced Negroni (as the name suggests, fantastic in a Negroni! ), you really can’t go wrong! But for me, the star attraction was the ‘Bloody Shiraz’ 2017 release. Wow. Just wow! Combining everything that’s brilliant in the ‘Rare Dry’ with some of the best Shiraz grapes the Yarra Valley has to offer, you get the dry feel of a gin, the dark fruit character of a Sloe gin and the sophistication of a red wine all in one glass. And whilst the 2016 crop was incredible, I would go as far as to say that this years vintage has out done itself, with a slightly sweet tone adding to that ever moreish fruit finish. Suddenly, out of the corner of my eye, I catch sight of a stand emblazoned with the name of a distillery that’s recently hit my radar following the teaser emails from the Gin Foundry team; Iron Balls Gin. Based in Thailand, Carson Quinn (the brands very own barman from their HQ) had brought their gin all the way over from Bangkok. And with the slogan ‘you always have options if you have balls’, adding a sense of humour and, erm, ‘ballsyness’, to a strong foundation of craft gin making sensibilities, this was a must try! This is a gin that is meticulously handmade from first fermentation right through to the distilling of the final product, with hand cracked coconuts & crushed pineapples laying down a base spirit that creates a stunning flavour profile that remains dominant throughout. Fresh fruits, particularly ripe mangos, and lemon grass fill the space between the glass and your nose. Though leave it to open up a little and you’ll find complementary coconut tones bring a mellowness to proceedings. Adding a premium tonic, paired with a garnish of fresh pineapple and basil leaves, it makes for a magical gin & tonic. Whilst pineapple and coconut remain dominant, the basil leaves really pull forward some of the more herbal botanicals, allowing them to show off a little. My final assessment? ‘Balls’ to it, I loved it! As I continued to meander through the gin wonderland, I was heartened by the sheer amount of quality and gin expertise on show! Paying a visit to Karl (Mr. Mason himself!) from ‘Masons’ Gin is never a disappointment, and no gin event is truly complete without the team from Masons on hand. I’ve been banging on about it years now, but their ‘Yorkshire Tea’ edition is a tough act to beat (to be tried in a Martini to be believed! ), and chatting to Karl over a tipple of tea from their ‘Yorkshire Spirit’ really did demonstrate that whilst you can take the boy out of Yorkshire, you can’t take the Yorkshire out of the boy! Whilst I can’t possibly mention all of the fantastic distillers who took the time to talk to me about their incredible gins, including 6’oClock Gin and their cumin heavy ‘Brunel edition’ (like a gin inspired Indian banquet in a glass – just brilliant!) and the team from Adnams (whose distillery tour I just missed out on during my last visit to Southwold), a special mention has to go to ‘Sir Robin of Locksley’. 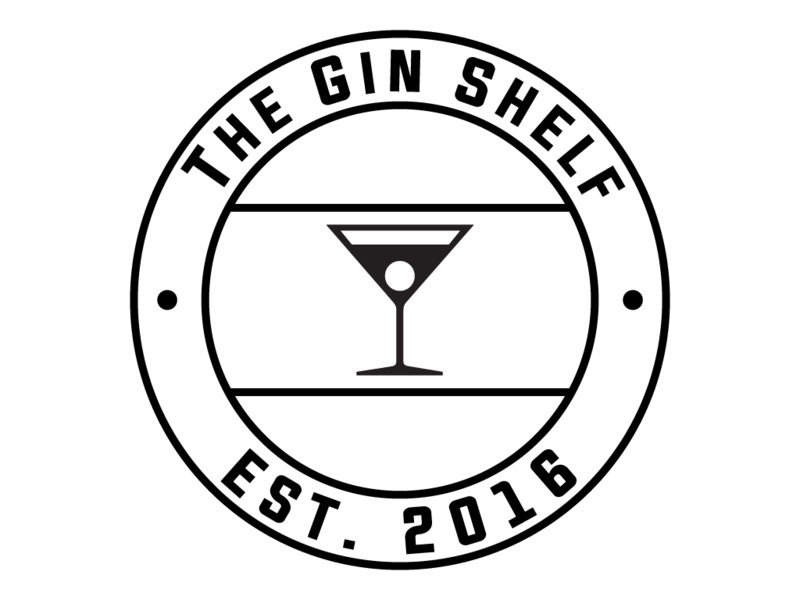 And as if the Tobacco Docks venue wasn’t enough for you, why not visit the team at ‘Slingsby’ gin, quite literally bringing the spirit of Harrogate to London?! In slipping in to their ‘virtual reality’ experience goggles you are transported to their Yorkshire distillery, where you can learn all about the brands history, heritage and distillation process without having to part with your glass! And a shout out has to go to their ‘Rhubarb Gin’ – with all of the strength of a London Dry, and the flavour profile and sweetness of real fruit with none of the ‘nasties’, for my money this is the best flavoured gin currently on the market. Now if drinking some of the best gins that the world has to offer for the afternoon isn’t your idea of fun (erm – yeah, right!) then fear not. Junipalooza allows you the opportunity to get your geek well & truly on via their ‘Master Class’ options. In these 25 minute interactive presentations you’re able to learn about gin & tonic pairing, alternative garnish and pairing options, hear from industry experts and even pick up some top tips on how to potentially open your own distillery! I attended the ‘Tonic & Gin Pairing Masterclass’ hosted by Franklin & Sons, where samples of a variety of gins were provided alongside their perfect Franklin & Sons mixer, with tasting notes to demonstrate how to navigate the tricky business of creating the perfect bed partners. Fun, informative and inspiring. As our time at Junipalooza drew to a close, I tracked down Olivier Ward; cofounder of the Gin Foundry, Junipalooza and the ‘poster boy’ of the gin revolution on Channel 4’s ‘Sunday Brunch’ (cheers Simon, cheers Tim!). In speaking to Ward, it’s obvious that this festival is a labour of love. He talks passionately about the rise of gin, the quality on the market and the future of the industry. And there is a genuine satisfaction and gratitude in his responses to questions and interactions with other guests that demonstrates his appreciation of people’s growing love affair with the spirit he has made it his business to develop. Junipalooza visitors aren’t just seen as ticket sales here – this is a community of like minded gin enthusiasts, brought together by a shared appreciation of something quite special. And it’s a community I couldn’t be happier to be a part of. And with final pleasantries said, and goodbyes exchanged, we made our departure. ‘Leave them wanting more’ as the saying goes. And on reflection, that was my one and only criticism – a 4 hour time window just doesn’t feel long enough to do justice to sampling, meeting and talking to the large number of suppliers and getting involved in the master classes. Although as far as criticism and lessons learned go, it only strengthens my resolve that I’ll be booking in to both the afternoon and evening sessions next year! Who knows. Maybe I’ll even be persuaded to find my tent, pack my wellies and make a weekend of it…maybe. Another great write up!! It’s hard to do this festival justice in just 4 hours – there is so much to see and do there! (By do I mean taste!) next year I’ll be doing both days for sure! !